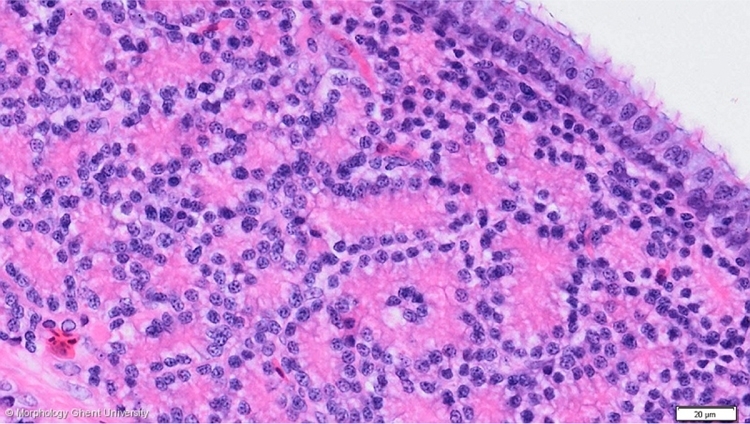 The epithelium of the magnum is a simple ciliated cilindric epithelium with goblet cells. The nuclei of the ciliated cells are oval shaped and centrally positioned in the cell. The nuclei of the goblet cells are round and lie in the basal part of the cell. A goblet of a goblet cell can sporadically be seen. Cilia and basal body line can be seen apically.